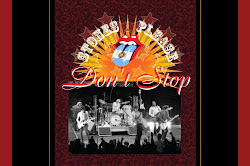 7 * Formulario de contacto: pagina "Stones Please Don´t Stop"
En los comienzos de The Rolling Stones, el fotógrafo Michael Cooper aprovechó su íntimo acercamiento a la banda para compartir ensayos, conciertos, viajes, comidas y fiestas con los músicos. Trabajó y jugó con ellos inspirándose en su día a día. El resultado fue una singular colección de fotografías que con el paso del tiempo se convirtió en histórica. Este registro abarca los años 1963-1973, una década seminal que muestra, como dijo Michael Cooper alguna vez, "los triunfos, las tragedias y las lágrimas" de una banda en ascenso. 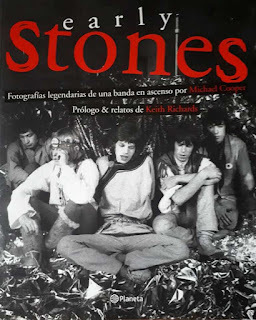 Early Stones constituye una mirada única sobre las vidas de los integrantes de la banda y su entorno, relatada en imágenes y palabras. Iluminados por el flash de Michael Cooper, su amigo Keith Richards revela instantáneas compartidas. A partir de la entrevista de Terry Southern y pasando horas visualizando las fotos de Michael Cooper , dispararon en Keef los recuerdos de esas anécdotas e historias vivídas . Esta voz, junto con las de Anita Pallenberg, Marianne Faithfull e Ian Stewart, conforman el retrato viviente de un grupo de personas que revolucionaron el mundo en una época por demás convulsionada. Michael Cooper estuvo en el momento y el lugar indicado para captar con su cámara el espíritu en formación y cambio de esos primeros años de la ahora legendaria banda. 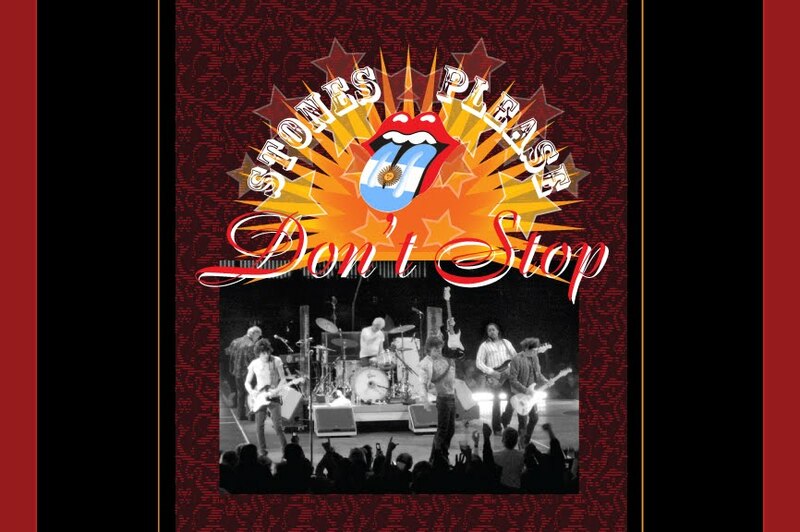 7 * Contact form "Stones Please Don't Stop page"
In the beginnings of The Rolling Stones, photographer Michael Cooper, took advantage of his intimate approach to the band to share essays, concerts, trips, meals and parties with the musicians. He worked and played with them, inspired by his day to day. The result was a unique collection of photographs, which over time became historic. This record covers the years 1963-1973, a seminal decade that shows, as Michael Cooper once said, "the triumphs, tragedies and tears" of a rising band. Early Stones is a unique look, about the lives of the members of the band and their environment, told in images and words. Illuminated by the flash of Michael Cooper, his friend Keith Richards, reveals shared snapshots. From the interview of Terry Southern, and spending hours visualizing the photos of Michael Cooper, they shot in Keef the memories, of those anecdotes and lived histories. This voice, along with those of Anita Pallenberg, Marianne Faithfull and Ian Stewart, make up the living portrait of a group of people, who revolutionized the world in an otherwise convulsive time. Michael Cooper was at the time and place indicated, to capture with his camera, the spirit in formation and change of those first years of the now legendary band. Taking as starting point The Early Stones originally published in New York in 1992, this book contains unpublished images and texts never before translated into Spanish.